Why choose a Dripool safety cover? As can be seen from the diagrams below the DRIPOOL Automatic Cover System can be fitted to almost any shape of pool. DRIPOOL only designs and manufactures automatic covers so they have a personal stake in every system, and with expert advice, back up and spare parts from an English based company, you can be guaranteed optimum after sales care for each customer. DRIPOOL covers are simple to operate; they keep your pool clean and most importantly, SAFE. Below are a few more examples of DRIPOOL covers. Notice how unobtrusive the system is when you want to enjoy your pool. The DRIGLIDE is an under-coping, automatic swimming pool safety cover designed for fitting to NEW RECTANGULAR POOLS, whilst under construction. For retrofits, the DRIPOOL is more suitable. The DRIGLIDE system overcomes the traditional problems of under-coping covers e.g. jamming, wear, ugly front beams, rainwater removal, housing floods and flimsy covers. 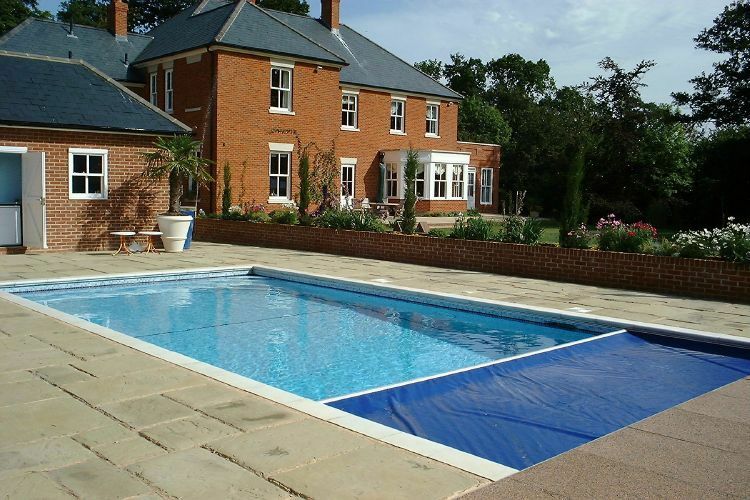 DRIGLIDE can be fitted to most new pool builds, liner, block, panel and concrete.